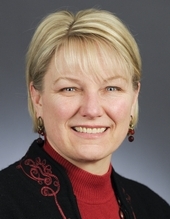 She ran unsuccessfully for the Minnesota House of Representatives in the 2004, 2006, and 2010 elections. She was a member of the First Congregational Church of Princeton, United Church of Christ. Religion provided by her campaign website. Session Notes: Her margin of victory over Sondra Erickson was only 89 votes so an automatic recount occurred. After the recount she was declared the winner by 87 votes. Busse, Nick. "Doing Greater Good, Jackson Views Public Service as a Calling." Session Weekly, St. Paul: Minnesota House of Representatives Information Office, January 23, 2009, p. 14.